We all live in Stories, that’s how we make sense of the world around us, and yet so often we forget our power of being the author of our own story with fear and judgment too often keeping us in a character role. 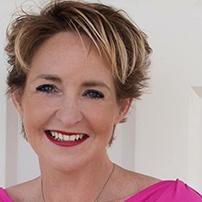 Hannah Havas is an international Coach, Trainer and Speaker specialising in Fear and Storytelling for leaders. She works with leaders and organisations all over the world bringing their ideas and strategy to life, achieving clarity and engaging communication. Helping businesses to use a story driven approach to connect and restore humanity by tapping into the natural power we all posses. She also supports many professional women who have experienced abusive relationships to turn shame into empowerment by speaking up and sharing their own stories.